Individualized instruction -- United States. Machine generated contents note: Foreword Acknowledgements About the Authors Introduction Chapter 1: Making the Case for Personalized Learning Disconnect between traditional school and preparation forpost-secondary world Power of a student-centered model Contemporary debate on personalized learning and clarification onwhat it is Chapter 2: The Design of a Student-Centered LearningExperience Element 1: Academic outcomes Element 2: Growth outcomes Element 3: Mindsets Element 4: Task Element 5: Audience Element 6: Feedback Chapter 3: Tasks that Demonstrate Personalized Learning Evolution in Practice Task frames to illustrate elements described in Chapter 2 Ideas to inspire: Go personal, go local, go global How the Role of Teachers Shift How the Role of Students Shift Needed Systems and Supports beyond the Classroom Chapter 4: What Personalized Learning Looks Like at anInstructional Level Element 7: Environment Element 8: Process Illustrative example: day in the life narrative Chapter 5: What Personalized Learning Looks Like at a SystemsLevel Element 9: Assessment of Learning Element 10: Time Element 11: Advancement Chapter 6: Leading the Change for Personalized Learning Clearly articulating and creating urgency for the change Releasing control of the work to teachers Managing change as its occurring The Conclusion of the Era of "One Size Fits allSchooling" Index. The Conclusion of the Era of "One-Size-Fits-All Schooling." Allison Zmuda, Greg Curtis, Diane Ullman ; foreword by Heidi Hayes Jacobs. 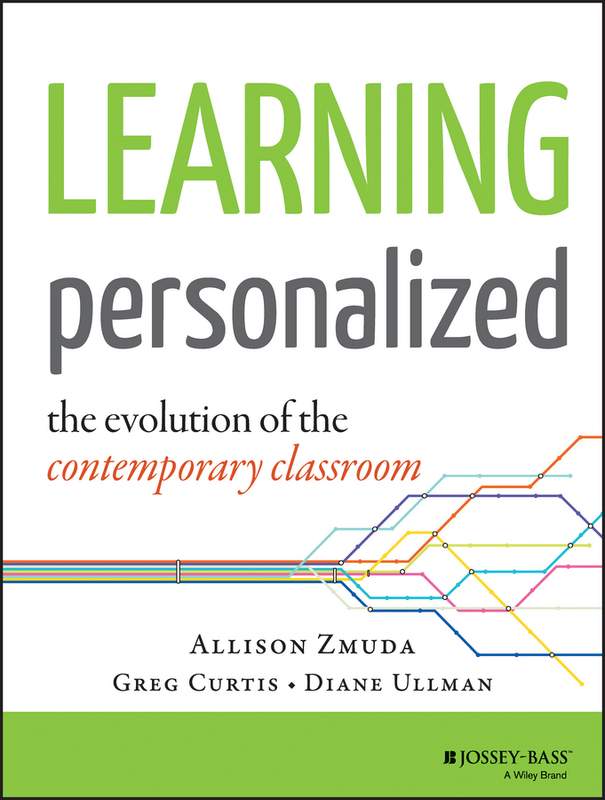 Add tags for "Learning personalized : the evolution of the contemporary classroom". Be the first. schema:about <http://experiment.worldcat.org/entity/work/data/2064860221#Place/united_states> ; # United States.